Ben, my neighbor at the shop is building a motor boat. 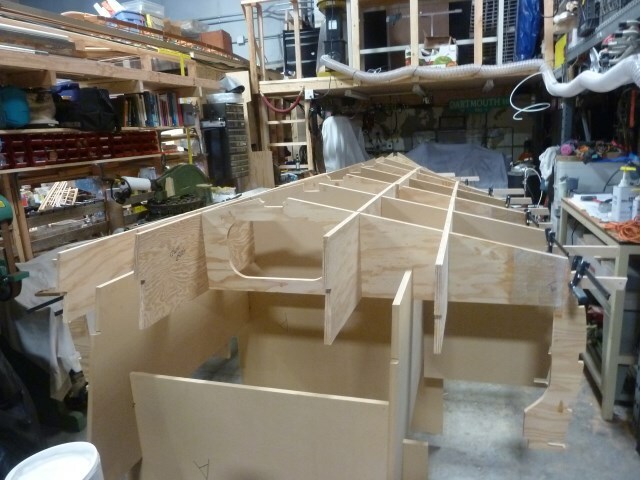 The process of boat building is a great deal easier than it used to be due to CAD files and NC routers. The long and the short of it is that you no longer need drawings from which to build a boat. 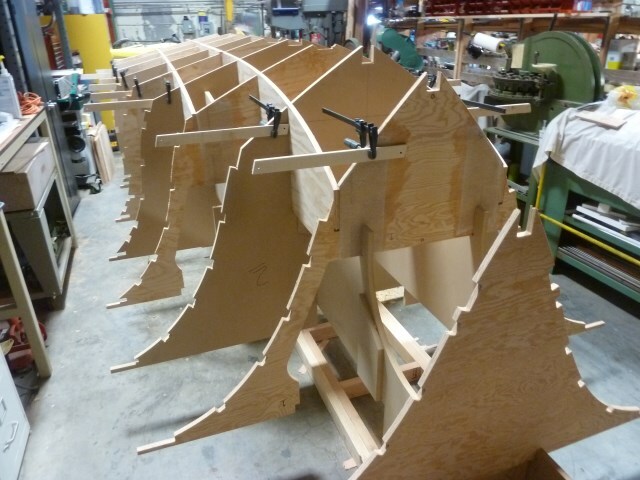 The shape of the boat parts is contained in a file that can be downloaded to a numerically controlled (NC) router that cuts not only the molds but also the frames and bulkheads that make up the boat. 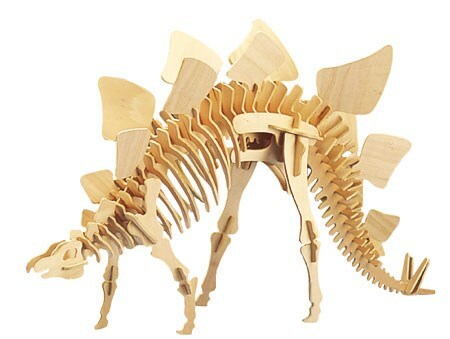 Once all the molds are routed out, they are assembled in a manner that resembles one of these stegosaurus models they sell in museum gift shops. 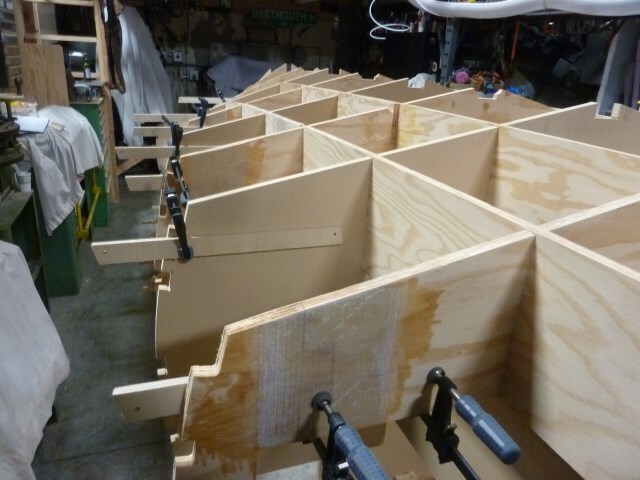 Once you have all the molds and frames assembled, you are ready to glue the permanent components together. After that, you cover the whole thing in plywood and then in fiberglass and epoxy resin and you have yourself a boat. No lofting and other traditional unpleasantness. The view from the rear. Note the cramped quarters. Luckily, Ben has all of his machinery on wheels so he can roll it out of the way or into position as need be. Three quarters view from the rear. The plywood stays in the boat and the stuff without grain is temporary molds and gets removed. The view from the front of the stegosaurus.